Finals, Finals & More Finals! 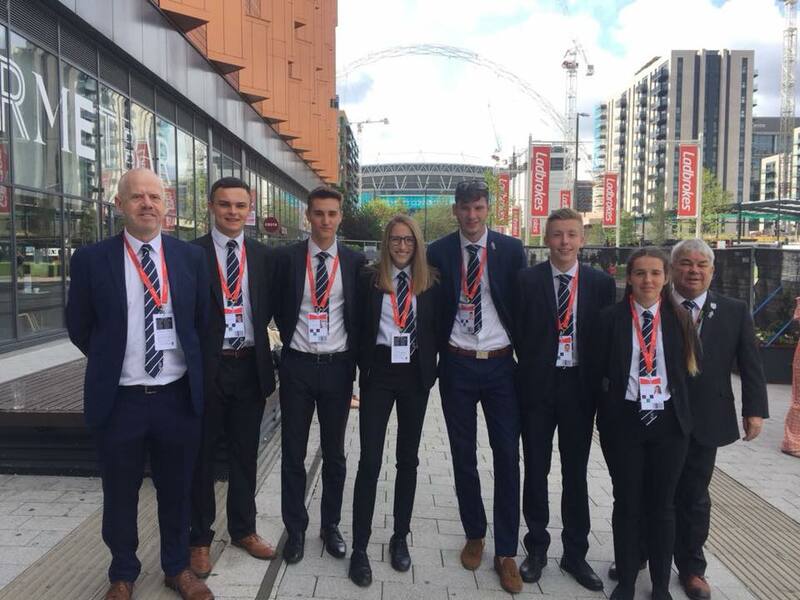 As the 2018 season starts to come to a close Society Members are being rewarded for their high standard of performances, dedication & personal development throughout the year with appointments to major finals. 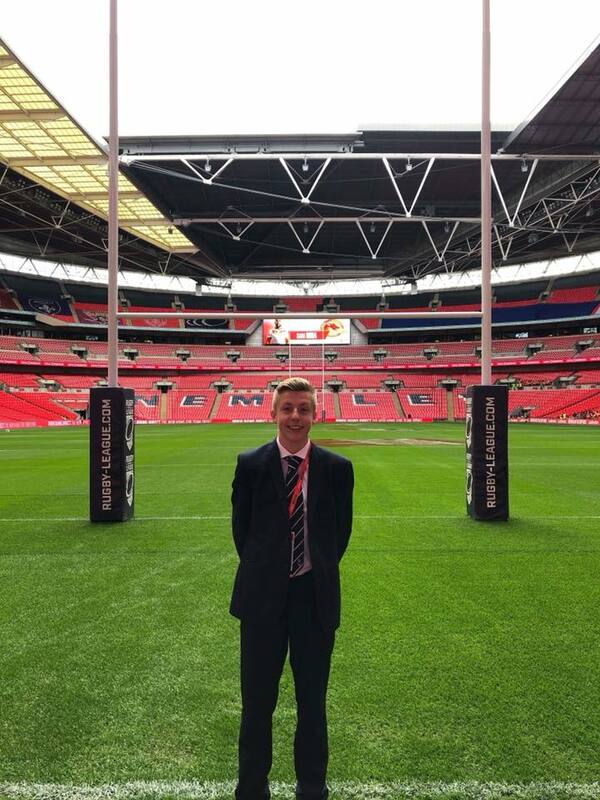 August bank holiday weekend saw Mackenzie Maddison officiate at Wembley Stadium. 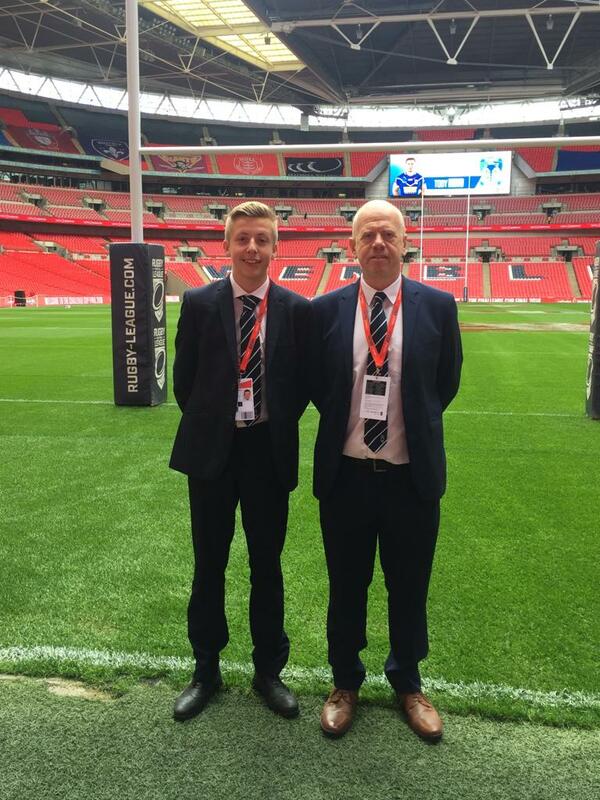 After being appointed the National Finals of the Champion Schools competition alongside Society colleagues Tolver Arnold & Ryan Cox at Warrington the previous month, Mackenzie was appointed as an In-Goal official to Challenge Cup curtain raiser when Wade Deacon (Widnes) beat John Fisher (Wigan) 18-10 in what was a very tense & exciting game. Society Member Phil Smith was also on duty as a Match Official coach to the squad of six officials. Mackenzie poses underneath the sticks prior to kick off. Mackenzie and Phil pose underneath the sticks prior to kick off. in the tunnel before walking out onto the pitch. I shared this amazing experience with my friends, family, fellow Match Officials and mentors. The occasion started to sink in as we drove up to the Stadium. Walking out together onto the pitch before kick-off was an amazing feeling. Many years of hard work had led up to this game and the whole squad was excited and overwhelmed by the game ahead. We were all extremely proud to be appointed. Mackenzie’s thoughts on the once in a life time experience. 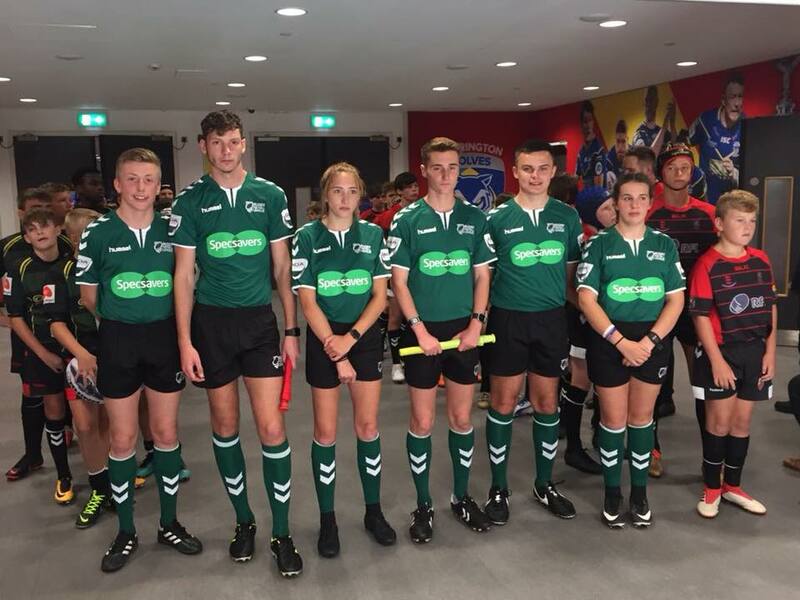 Craig Smith, Referee, and Adam Johnson, Touch Judge, officiated the 2019 Lancashire v Yorkshire U19s Origin game at the Halliwell Jones Stadium. 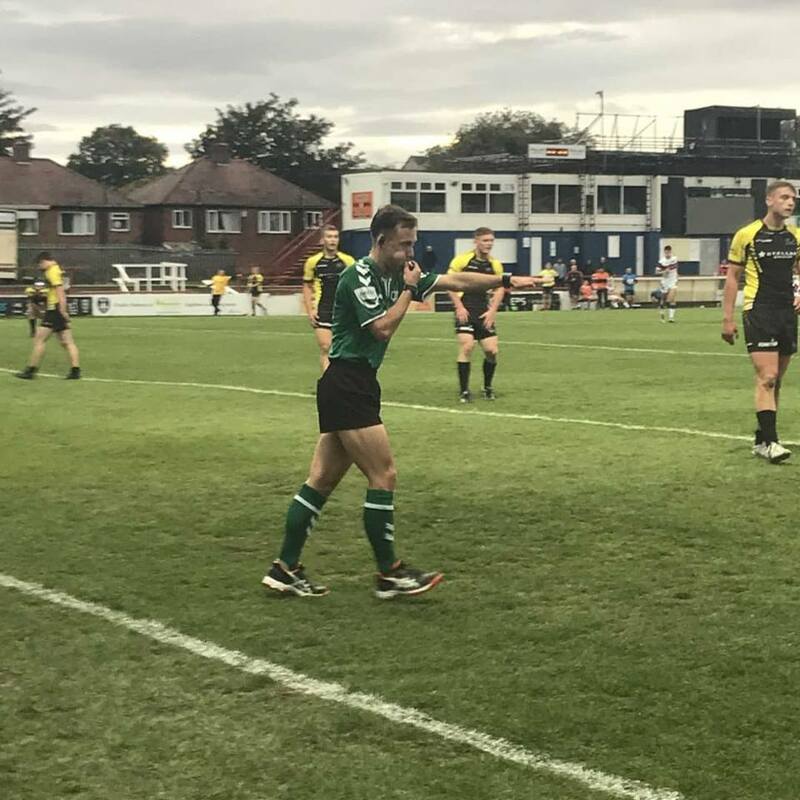 The game was shown live on the RFL’s ouRLeague app, with people tuning in to see Lancashire take the spoils and beat their Yorkshire rivals 36-06. Craig & Adam pose with their teammates ahead of the game. Adam Johnson then Touch Judged the Women’s Origin that took place straight after the men’s game, which saw another Lancashire victory this time by winning margin of six points, 16-10. Adam poses with his colleagues prior to kick off. Towards the end of the season, officials get trailed on higher level games to be assessed for consideration of grading promotions following the fitness test in December. This year was no different as Denton & Tolver Arnold were both appointed to Referee their first Under 19s Academy matches. Tolver was first up when he was appointed to Referee Wakefield Trinity v Warrington Wolves on 1st September. 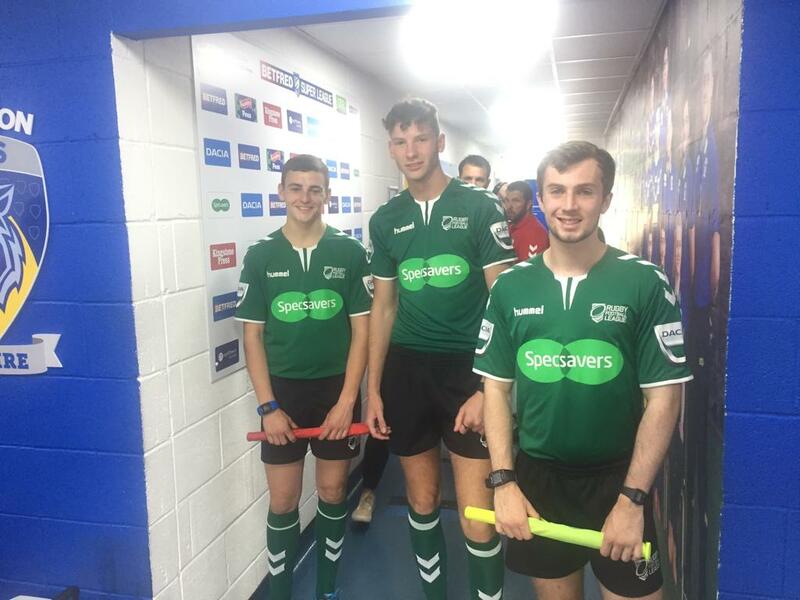 Big brother Denton then followed him to Belle Vue two weeks later, to Referee in the final round of the Academy season, Wakefield Trinity hosted the Widnes Vikings. Denton awarding a try in his first Academy U19s game. | Photo by Liv Morgan. Ryan Cox made his League One debut on 9th September as Reserve Referee. A week later Stuart Fraser was also appointed as Reserve Referee to his first Championship game. Congratulations to Stuart Fraser who has been appointed as Reserve Referee to his first championship match between Leigh Centurions and Batley Bulldogs. Craig Smith & Adam Johnson were appointed to officiate one of the Under 19s Academy Semi-Final. Craig took charge while Adam assisted as Touch Judge when Wigan Warriors beat Huddersfield Giants to put them through to the final the week later. Leeds Rhinos beat St Helens in the other Semi-Final held at the Totally wicked Stadium meaning Wigan would host Leeds a week later in the final. Adam & Craig were both rewarded for their efforts in the semi as they were appointed to the final at the DW Stadium on 29th September. Wigan was crowned as champions beating Leeds 14-6. 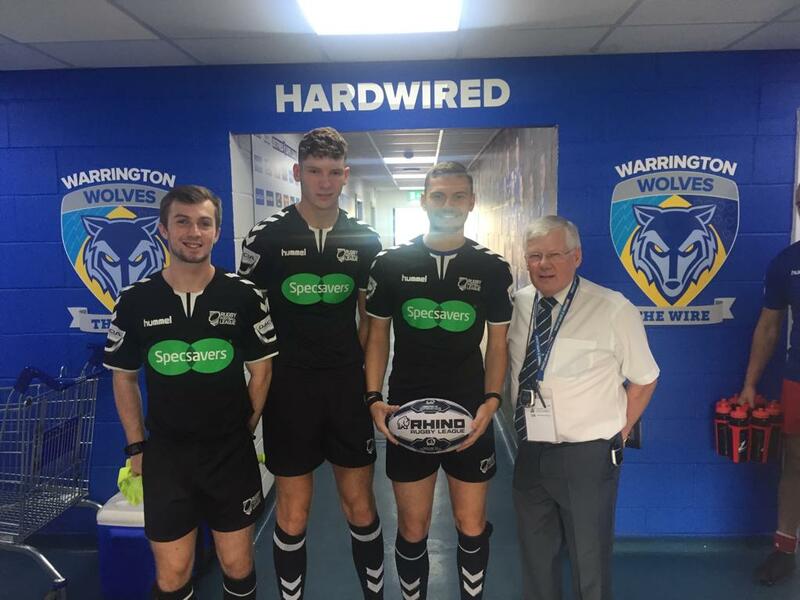 Craig & Adam officiated the same two teams that featured in the final two weeks earlier at Wigan St Judes along with Society member Phil Rigby. | Photo by Kings Pix. Four St Helens members were appointed to this year’s Lancashire Cup Finals held at Leigh East. Ryan Cox, Stuart Fraser, Mackenzie Maddison & Liam Jones officiated in different capacities throughout the day. Ref: Ryan Cox, TJs: Emily Grundy & Liam Jones, Res: Stuart Fraser. Ref: Stuart Fraser, TJs: Emily Grundy & Liam Jones, Res: Ryan Cox. Ref: Mackenzie Maddison, TJs: Josh Beckett & Lewis Obrien, Res: Kieran Murphy. Ref: Kieran Murphy, TJs: Josh Beckett & Lewis Obrien, Res: Mackenzie Maddison. Want to follow in our Members’ footsteps? Read about more of our Members’ achievements from July here!